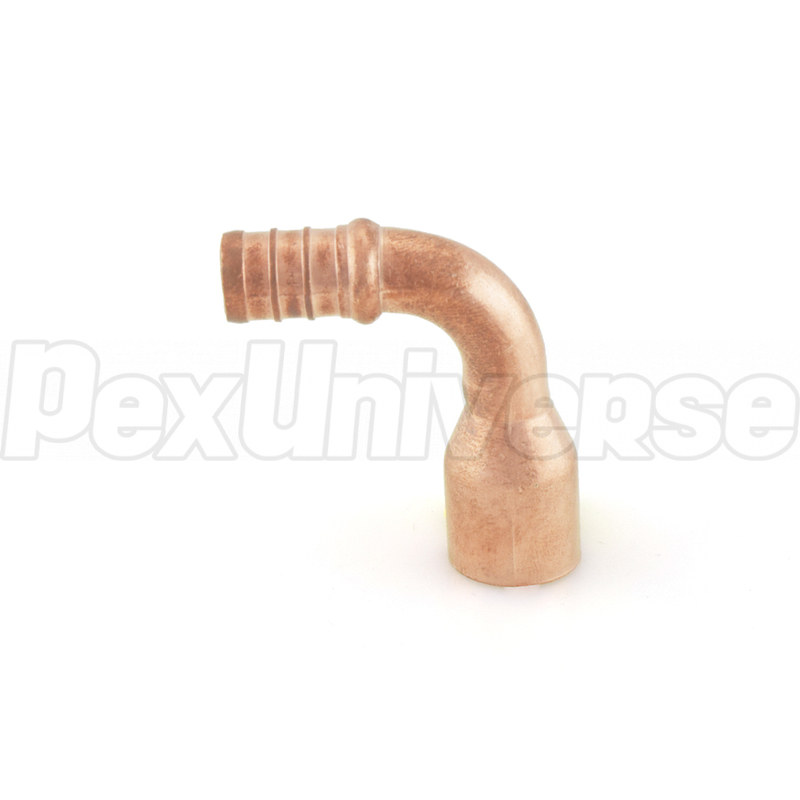 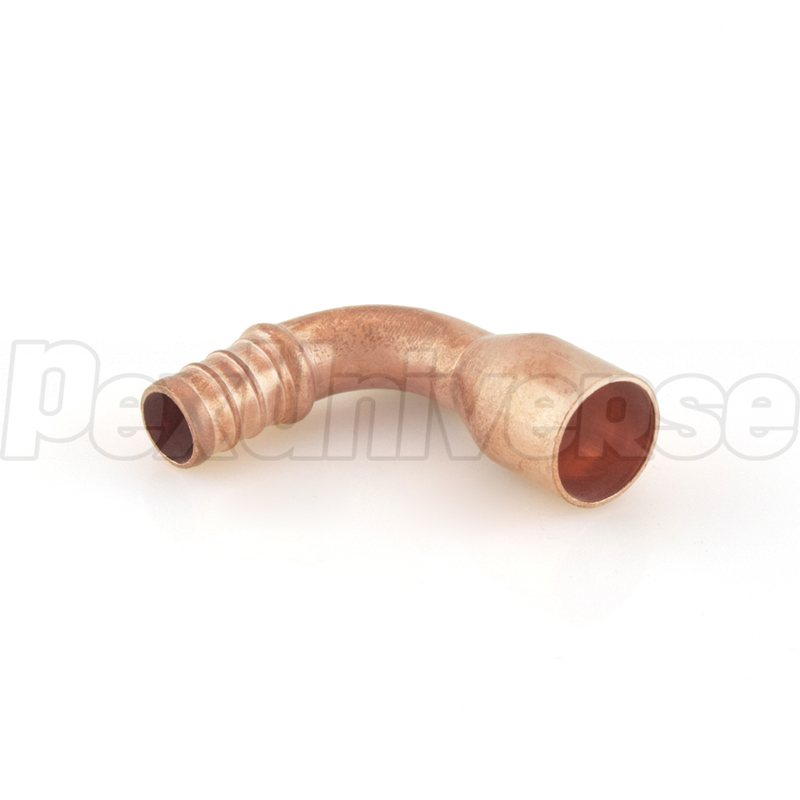 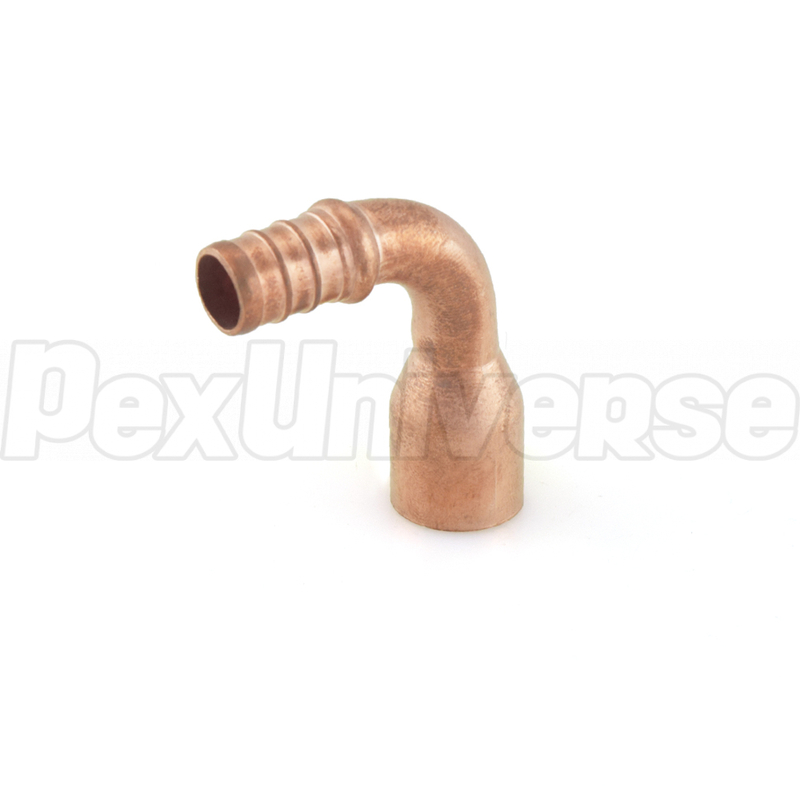 This fitting is intended to provide a transition from 1/2" PEX pipe to 1/2" copper pipe (female sweat) at a 90-degree angle. Sweat portion of the fitting is female sweat and is the same size as a regular 1/2" copper fitting. 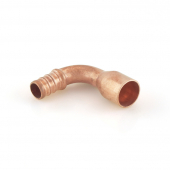 Made in the USA from 100% copper and is approved for potable water applications.